Find Amish Furniture in Phoenix Looking for a Phoenix-area Amish furniture dealer? Though no Amish reside in Arizona, and the nearest Amish population lies hundreds of miles away, the vicinity of Phoenix has several options if you want to buy Amish-built furniture. Whether you live in Phoenix or neighboring locations like Scottsdale, Mesa, Gilbert, Chandler, Surprise, Avondale, Tempe, Glendale, Arrowhead Ranch, you’ll find an Amish furniture dealer within a short drive. Amish-operated businesses are always closed on Sunday, though some non-Amish owned furniture companies may be open. Please confirm businesses will be open before traveling long distances. Find furniture in other states with the Amish Furniture 50-state directory, or view the Arizona Amish furniture main directory. The Amish Hardwood Store carries a broad selection of “heirloom quality” furniture manufactured by over 80 Amish family businesses in central Ohio and northeast Indiana. Most furniture pieces available in oak, quartersawn oak, maple, elm, cherry and hickory. Bedroom furniture selection includes beds (Mission beds, storage beds), armoires, nightstands, dressers, lingerie chests, and cedar chests. Dining room selections such as trestle tables, double pedestal tables, Mission tables, Shaker leg tables, dining chairs, hutches, china cabinets, pub tables, bar stools and chairs. Living room furniture choices include entertainment centers, sofas, benches, chairs, loveseats, curio cabinets, occasional tables (end tables, lamp tables, coffee tables), and more. Amish Hardwood also sells other items including bookcases, gliders, rockers, recliners, buffets, sideboards, and accessories. Furniture styles include Mission, Shaker, Arts & Crafts, and more. Variety of finish options available. Located in Surprise Towne Center in the northwest Phoenix area. Located in east-central Phoenix, Maple House carries a number of non-Amish furniture makers’ products, as well as at least one line of Amish furniture (American Traditions). Steiner’s is an Amish furniture retailer selling furniture built by craftsmen from Ohio’s Holmes County community. Furniture for every room of the home (dining room, living room, bedroom, home office, child’s room). Steiner’s also carries assorted furniture items and accessories such as bread boxes, jewelry boxes, quilt racks, magazine stands, cedar chests. Furniture stain colors include stains for brown maple, oak, cherry, hickory, and quarter-sawn white oak. Steiner’s also offer Amish style foods, including chow-chow, jellies and jams, noodles, peanut butter, and more. Steiner’s has one location in the Phoenix area. The Casa Grande location is now closed. The Peoria location is reportedly moving to Sun City, to 10722 West Grand Ave. Steiner’s also has an Ohio location. No Amish communities currently exist in Arizona. However, in the early 1900s an Amish settlement was found in the vicinity of Phoenix (see The Amish in America: Settlements that Failed 1840-1960 for more). Few Amish have attempted to settle in the Southwest, likely due to a combination of factors including distance to other Amish settlements and availability of farmland. The Phoenix area was once home to a small Amish community (early 20th century). Today, no Amish settlements can be found in Arizona. Amish have been known to visit Phoenix and stay temporarily during the winter months. 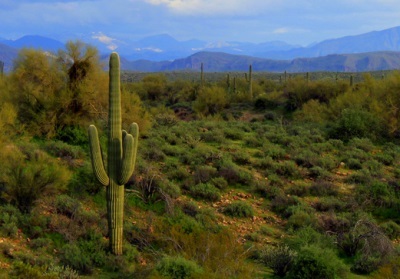 However, no bona fide Amish settlements are found in Phoenix or elsewhere in the state of Arizona. The nearest Amish communities to Phoenix can be found in Colorado, where the present Amish residents began settling in the early 2000s. There are now four Amish communities in Colorado. Other western states where Amish live as of 2014 include Wyoming, Montana, and Idaho. Amish furniture businesses selling Amish products in Arizona acquire their furniture from Amish communities in other states. Prominent furniture-producing settlements can be found in states including Indiana, Ohio, Pennsyvlania, and Illinois.